November | 2009 | Where is Yvette? I ended up in Plettenberg Bay (known as “Plett”) for one simple reason- on warm days I’m liable to leave my jacket in the overhead of a bus or train and forget about it, but always realize the error of my ways and get it back. This happened when I stopped off at George and the driver dropped it off at a Plett hostel, so there I went. So gorgeous and so startlingly like California it was hard to believe Santa Cruz or Santa Barbara weren’t just around the bend. Look, there were even surfers! Anyway, one of my primary goals while in Plett was to do something very special that occurs every South African winter- go say hello to the whales! Every winter the Southern Right Whale comes to shore to calve, meaning so close that you can see them from shore if you’re lucky. I’d seen whales twice before- once on the way out to the Great Barrier Reef, once briefly in the Caribbean when something large enough to resemble a house surfaced briefly to breathe- but whales are cool and are a lot smarter than they let on so I wanted to check them out. Back in the days of commercial whaling these guys were named the “right” whales because when you harpoon one when it dies it floats instead of sinking. Hooray! They’re still endangered from that chapter of gruesome carnage, but luckily rebounding very well in recent years. Anyway, whales are cool but it’s really hard to take impressive pictures of them. So we shall move on. 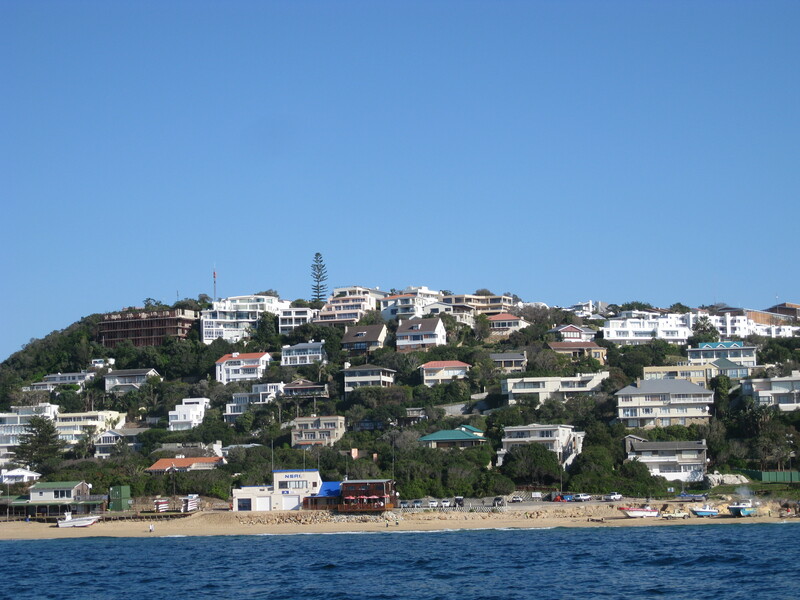 Near Plett is a place called Robberg Peninsula, where there is a seal colony. Thousands upon thousands of seals. It turns out seal colonies smell really bad so your only defense is to pray the wind blows in the other direction, but they’re plenty cute so tourists will still flock to see them.